I love the hours after midnight for peace and tranquility, and I love the hours just after dawn, which are so refreshing and inspiring. Seeing it through your eyes reminds me how beautiful mornings are. Early morning, before anyone is awake has always been my favorite time of day. 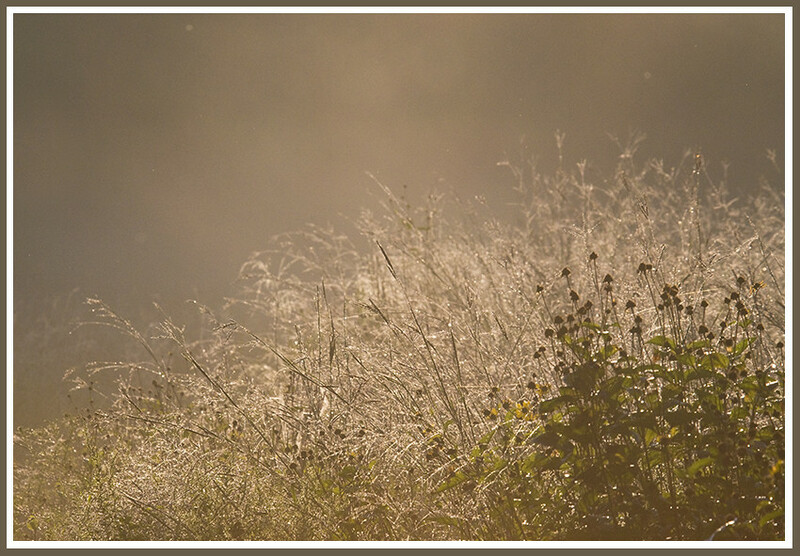 Lately though, with everything going on in my own life, I haven't had time to appreciate simple pleasures like the dew on the wildflowers in the early morning sun.